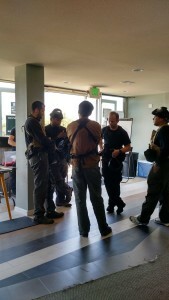 On June 13, KMI in partnership with Luigge Romanillo, 17-year Veteran USAF Pararescue Jumper (PJ) and owner of ADAPTAGEAR, held our unique 3TMC Tactical Medicine course. 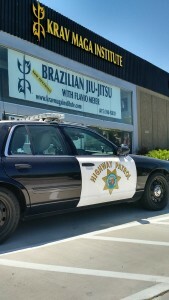 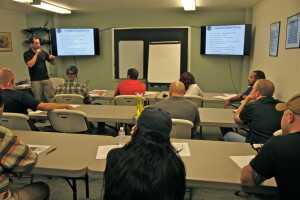 This totally sold out course had students from join various local and state agencies, including the San Francisco Sheriff’s Department, and members of the California Highway Patrol (CHP) who traveled down from their HQ in Sacramento. 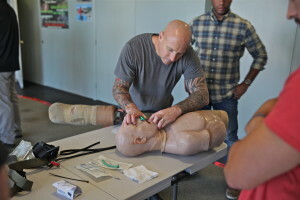 During the first half of the day, students were introduced to the essentials of Operational Medicine along with an overview of Anatomy and Physiology. 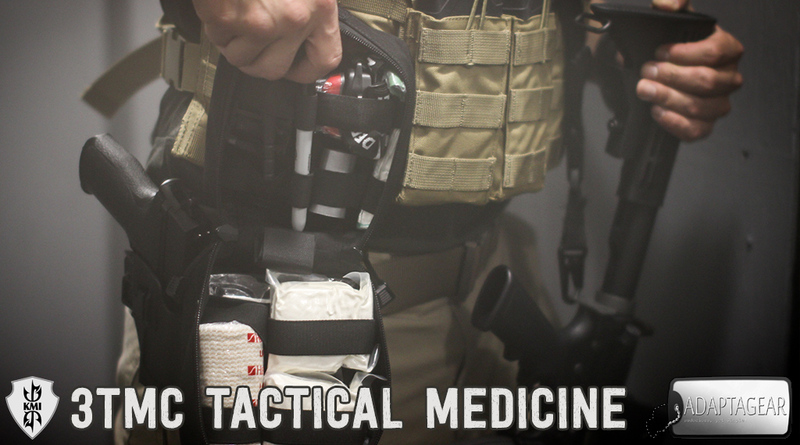 With a focus on traumatic accidents, active shooters, bombings, and/or other terrorist-type scenarios, and leveraging the unique capabilities of KMI’s fully configurable shoothouse and outdoor ranges, 3TMC students drilled with 3TMC medical kits to learn to successfully treat the three leading causes of preventable combat death: extremity hemorrhage, tension pneumothorax and airway obstruction. 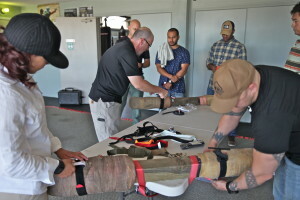 In the second half of the day, students took a step further with an introduction to Mass Casualty Incidents (MCI’s) from the First Responder’s point of view. 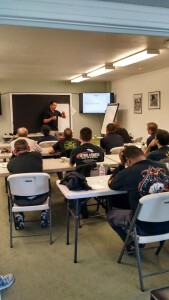 Using the 3TMC method, students learned a streamlined and effective approach to dealing with various types of MCI’s. 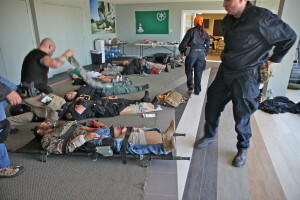 Utilizing scenario-based training with simulated wounds, role players, force-on-force, and other environmental controls; students experienced a multi-dimensional learning experience. 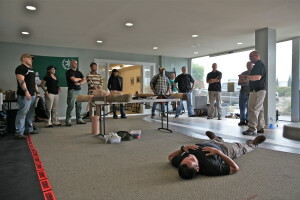 Feedback was tremendously positive, so much so that we are planning a 2-day extended version of the course in the early Fall. 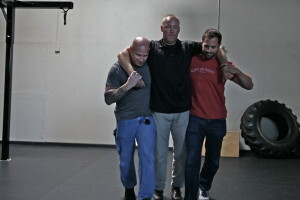 Stay tuned for details by signing up on our monthly newsletter.